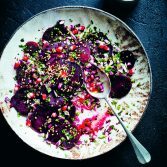 Pomegranate molasses, made by reducing and concentrating the juice of pomegranates, adds a delicious, slightly tart flavour to savoury stews and salad dressings. It’s available in most Middle Eastern stores, but comes in various densities, so the exact amount needed will depend on the thickness of your molasses. 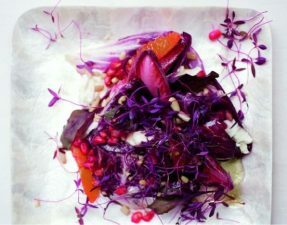 This salad will keep for up to 3 days in the refrigerator. 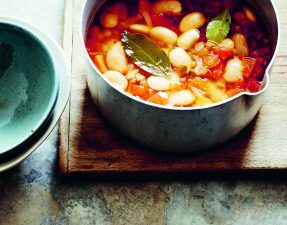 Recipe from the recently released book Hazana: Jewish Vegetarian Cooking by Paola Gavin (Quadrille, £20.00) Photography by Mowie Kay. Wash the beetroots well and trim the ends. 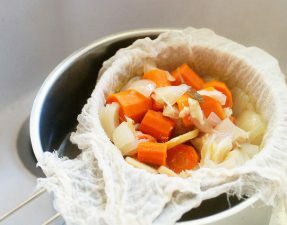 Place in a saucepan of cold water and bring to the boil. Cover and simmer for about 1 hour or until tender, then drain and set aside until cool enough to handle. Peel and slice. 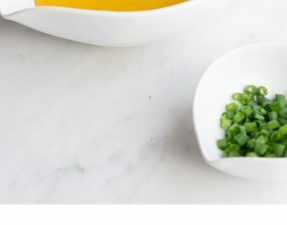 Place in a salad bowl, together with the onion and parsley. To make a dressing for the salad, combine the olive oil, lemon juice, crushed garlic and pomegranate molasses in a small glass jar. Season with salt and pepper and shake well. 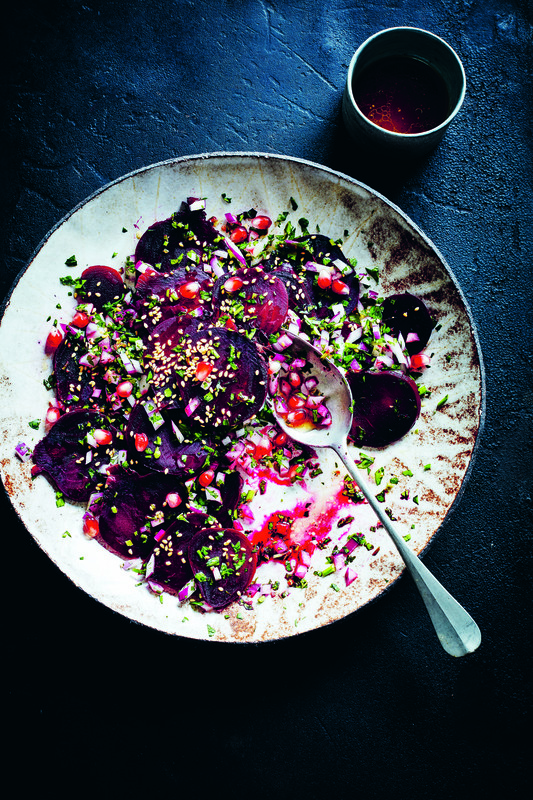 Pour over the beetroot and toss lightly, then garnish with sesame seeds and serve cold.